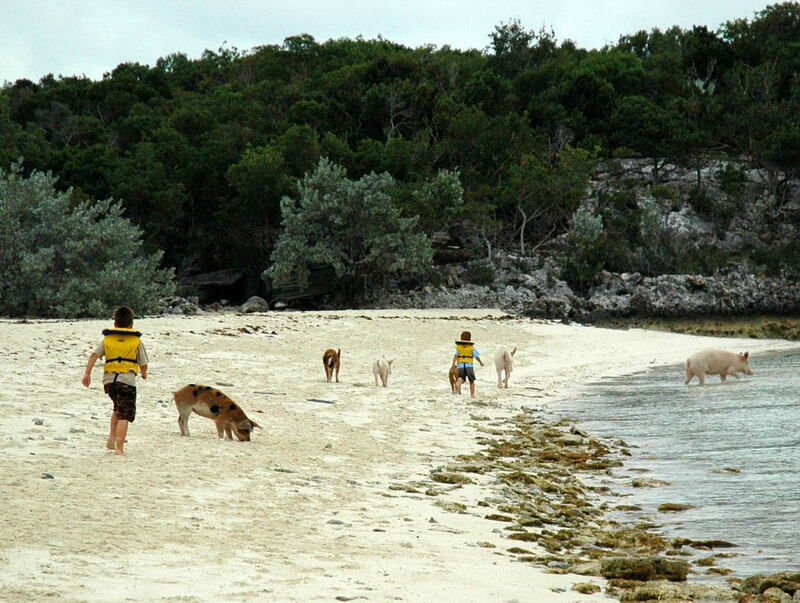 Big Major Spot’s Island only has inhabitants of the oink oink kind. 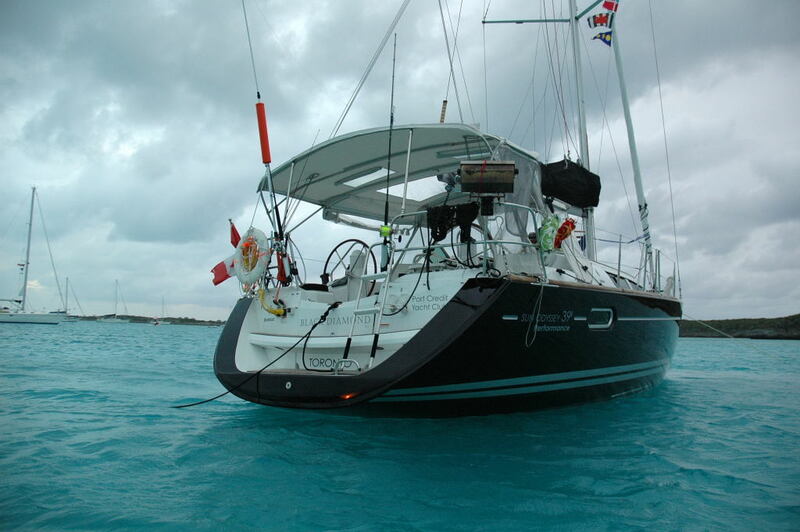 January 2nd, 2009, we left the Staniel Cay Yacht Club, and anchored just a couple of miles away. This area is called the Big Major Spot. We figured out later it probably got it’s name for being one of the most popular anchorages in the area. There were literally a hundred boats anchored here, or at least it seemed like it. The population of the crew on these boats probably out numbered the residence at Staniel Cay Island which is only about 100. In the evening the water lit up with boat and anchor lights like a city, mean while the land was dark with no inhabitants other then the wild pigs. 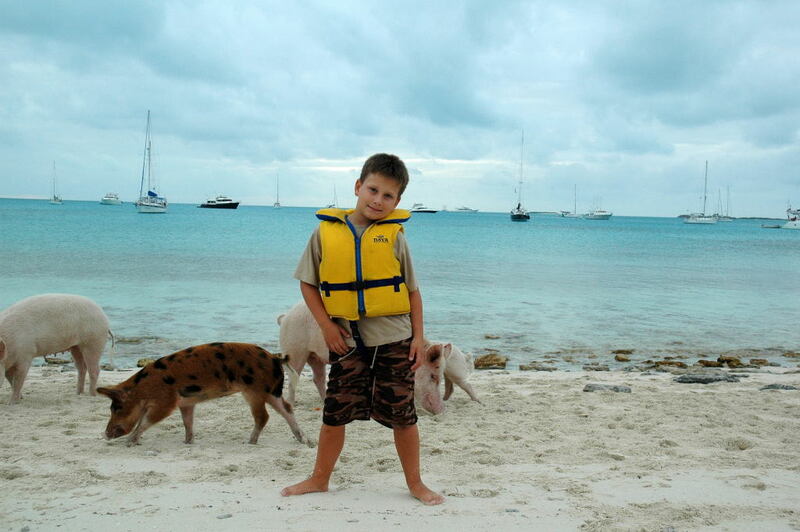 Alex tried to chase the pigs like he did with the Iguanas, they weren’t as afraid. 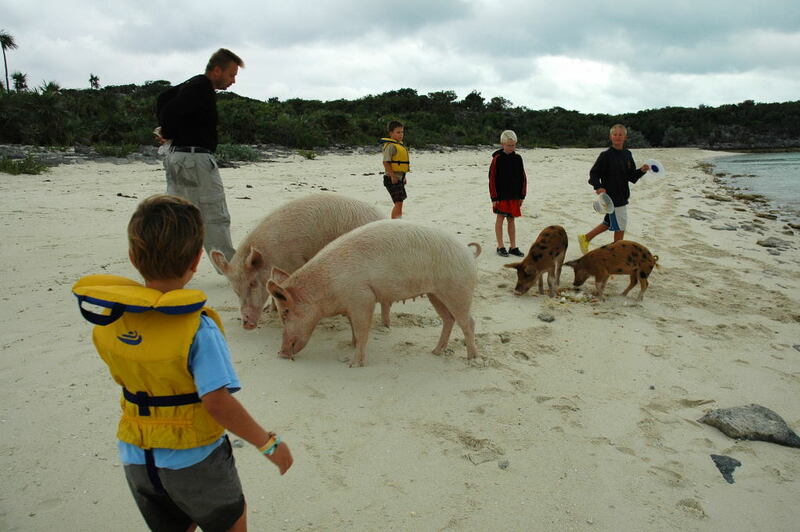 The pigs are of the domestic variety, but live wild here on the island. The boaters love to pull up and feed the pigs. We soon found out why they are called pigs. Rude table manners, and not shy at all, very pushy when it comes to food. The night before after the regatta we were hosted to a pig roast by the locals, I think I know now where they got the pig. We fed the pigs some table scraps and conch cleaning left overs. 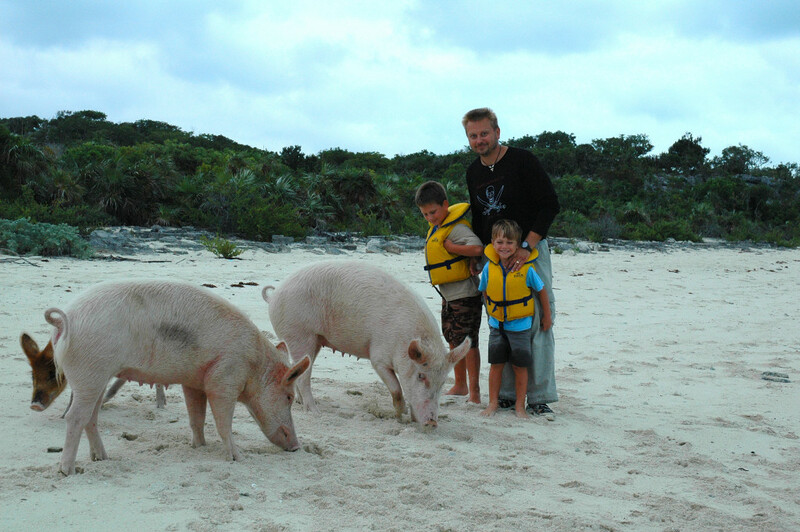 Anchored at Big Major Spot, these pigs are not wild boars but are wild pigs of the domestic variety. You can see Black Diamond anchored amoung the many boats here. Our’s is the Black boat to Thomas’ left shoulder. That night we dinghyed over to the sail boat Priority, and enjoyed some after dinner deserts with them and their boys. The next morning we are heading out, and making our way to Cave Cay, on route to Georgetown. 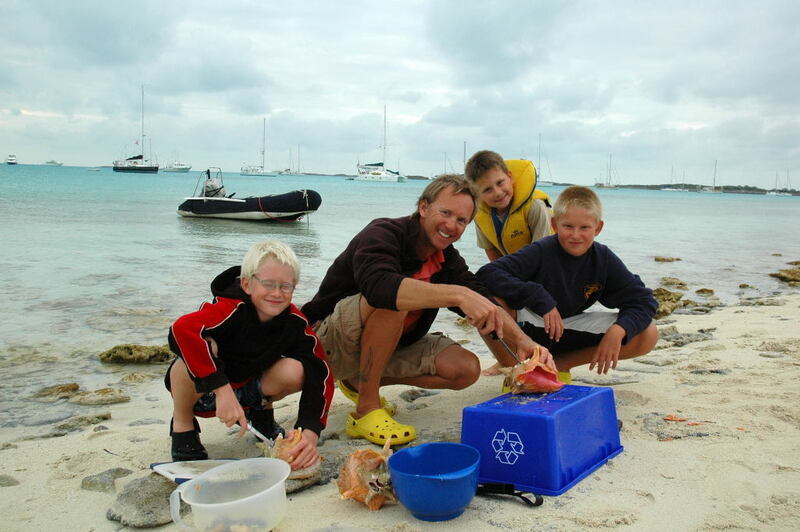 Preparing Conch for dinner with the buys from the sailboat Priority. 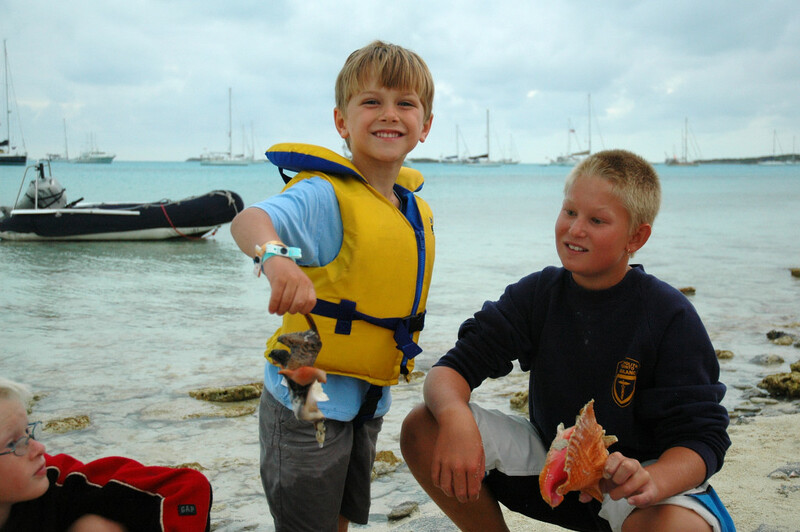 Here the boys prepared and cleaned the conch for dinner. Alexander was very excited about helping out too, Thomas is not into touching what he calls gross things. Alexander loves wild life, and got right in there helping out. 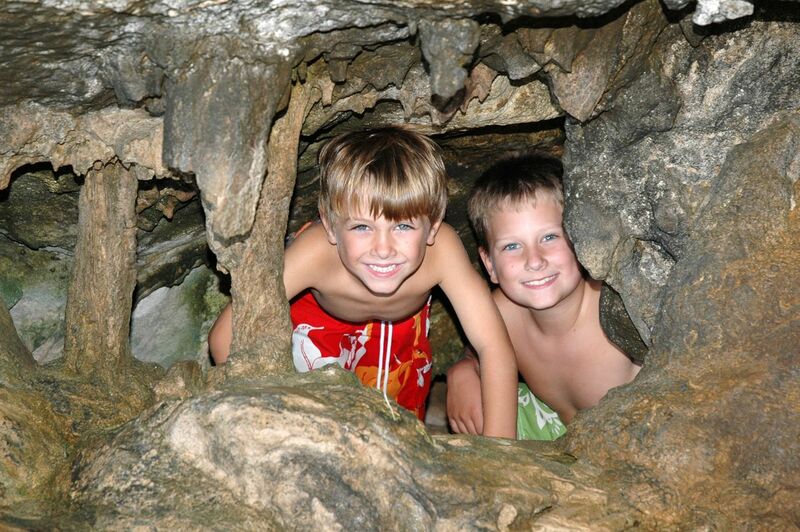 Dakota is showing Alexander how to clean conch. Alexander is holding the meat that came from the shell. He is holding the claw. A close up of Black Diamond anchoring at Big Major Spot. Approaching the stern of the boat with our dinghy. Were those conch regulation size and were they caught in the Marine Park? We only harvested 5 conch on our whole trip, just to give them a try. The ones we ate were all regulation size. You’ll notice some small ones the kids found on the shores, Alex is pictured with some of these. But we did not harvest them. As for the Marine Park, we sailed right by it and did not even stop there. 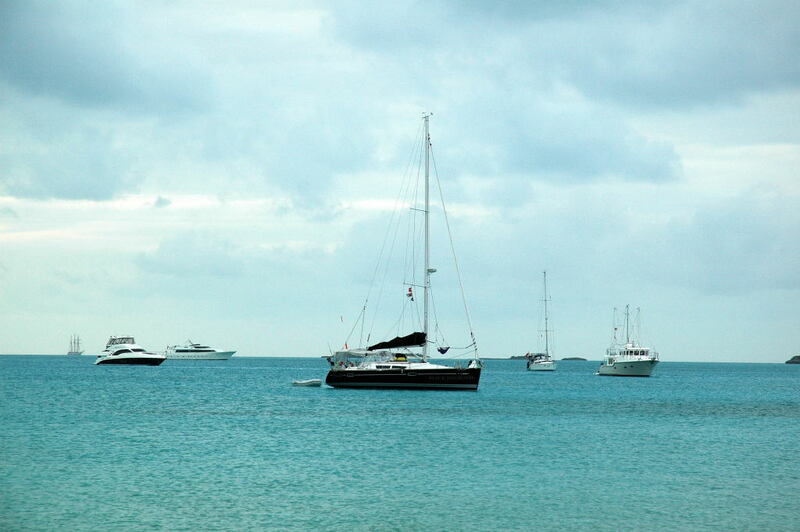 After Big Major we sailed to Cave Cay, and then straight to George Town right past the park. Keep following our blog and you’ll get further updates on that. 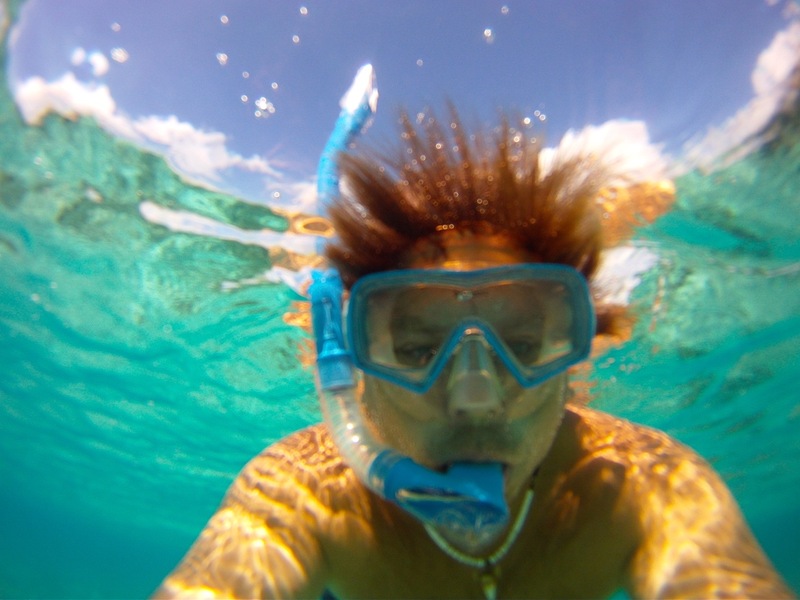 Previous story Staniel Cay, Exumas – New Years!